The name K.I.N.E.T.I.K., in relation to “moving energy”, was bestowed upon him because he could “move you mentally, physically and spiritually”. In order to enhance his individuality, he also created the acronym “Kultural Instinctiveness Nurtured Into Effectively Tackling Incorrect Koncepts”, further reinforcing his steadfast intention of having something worthwhile to say in every verse. The Kinesis Thesis Vol. 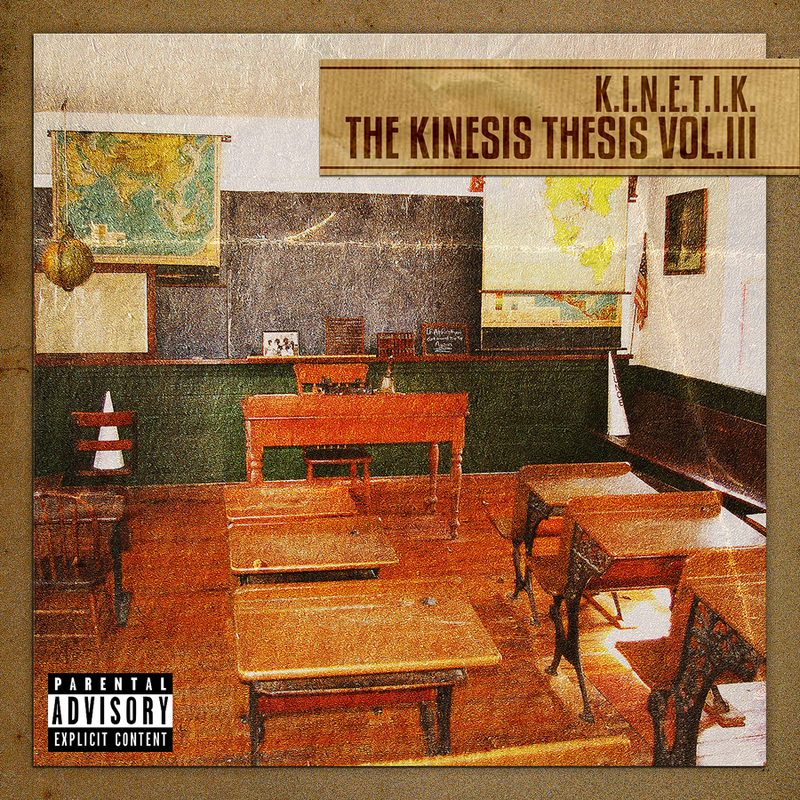 III by K.I.N.E.T.I.K. Memory Lane [Dusty Cartridge Remix] by K.I.N.E.T.I.K.